“People don’t come to Napa Valley to buy real estate, they come here to buy a lifestyle”. If you’re looking to acquire a luxury estate, vineyards, a winery or a vacation home, and want access to properties that are not on the open market, you have come to the right place. Latife Hayson is Compass’s preeminent property specialist in Napa Valley real estate. As an Australian and a longtime resident of Saint Helena, Latife understands what propels people from all over the world to invest in the exquisite Napa Valley lifestyle. From the allure of the wine industry and extraordinary performing arts, concerts and Auctions in caves, vineyards and wineries, to the endless lineup of highly acclaimed restaurants and cult wines, an exceptional lifestyle and kindred spirit awaits you. 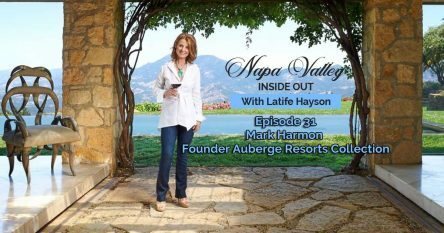 Welcome to my visual podcast “Napa Valley Inside Out” – shining a light on one of the most beautiful and coveted lifestyles in the world. Every week I interview vintners, entrepreneurs, leaders, consultants, the valley’s movers and shakers and well known personalities. They share their road to Napa Valley, their experience, advice, goals, passions and their best kept secrets. Latife Hayson is an indisputable expert when it comes to buying and selling luxury real estate, vineyards and wineries. 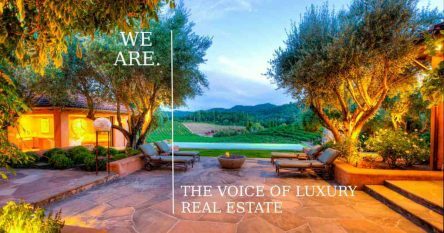 Latife negotiated two of the three highest priced residential sales in Napa Valley’s history, and was ranked in the top 1% of 45,000 agents worldwide with NRT, Sotheby’s International Realty® parent company prior to joining Compass in January 2019. At the apex of her career, Latife navigates the challenges of buying and selling wine country real estate with ease, and provides expert knowledge and counsel to her diverse and sophisticated clientele from around the world. Keeping her clients desires and expectations front and center, she treats their financial investment like it were her own, and draws on her three decades of experience in property development, asset management and luxury marketing. From the flourishing town of Napa, to the culinary gem of Yountville and the up and coming town of Calistoga, Napa Valley real estate offers an unbeatable and exciting lifestyle that few people ever leave. Whether you’re searching for a luxury retreat, a vineyard, winery or a charming vacation home in a quiet country setting, you’ll find a wide range of fabulous Listings here on my website. My wine country real estate offerings include stunning architecture, interior design and landscaping, spectacular views, vineyards and luxury estates nestled in the hillsides and on the valley floor. Join the many people who come here to invest in our highly coveted wine country lifestyle.